LHR-LIS-LHR in economy both flights on A320s. Outbound checked in online and found no queue at the baggage drop off point. Very friendly check-in agent who gave our bags 'Priority' stickers for no apparent reason. Boarding was 20 minutes late with no explanation but still managed to push back on time. Seat comfort and leg room fine for a 2hr flight. Drop down TV's had something showing but with no sound or headphones it was lost on me. Free meal was a decent sandwich and fruit drink along with a choice of another complimentary drink (incl. alcohol). Cabin crew were professional my partner left his mobile phone on board which was discovered by an FA after everyone had alighted the aircraft. FA then ensured that the bus to the terminal didn't leave until she had found the owner of the phone. Return flight - check-in bag drop and onboard service and comfort as outbound but the flight was delayed 2hrs with no apologies or explanations given. Boarding was chaotic - the usual case of too much 'large' hand luggage causing problems for everyone else on what was a very full flight. Overall an excellent experience outbound and a disappointing return flight due mainly to poor communications and the chaos of boarding but I'd give them another chance. AMS-OPO. Fokker 100. Aircraft was clean the service was good. Crew were helpful and friendly. On time flight. From OPO to MXP ER4 was even smaller. Breakfast was served. Nice trip. On time flight. Not the best of experiences Oct/Nov 2012 (HEL-LIS and LIS-HEL). We had golf bags with us which required a lot of interaction with customer service. Unfortunately there was just one person working at the desk with queues of 10s of metres. The cabin (A319) was old fashioned with sweaty leather seats and worn out equipment. The food was ok. The return was also similar with lots of waiting for just to pay our golf bags. Return flight was delayed and just a part of the customers luggage was loaded into the plane to make it in time to Helsinki. LHR-LIS-CMN-LIS-LHR. Each leg was late by up to 90 min with no explanation. Except London all planes were parked on the apron rather than at the gate which led to additional delays. Food was ok. Would only use again if I had no regard to my time. Very pleasant flight from Dusseldorf to Lisbon. A hot meal was served for free also hot and cold drinks including beer and wine. Free newspapers and TAP magazine. Plane very clean staff friendly and helpful. 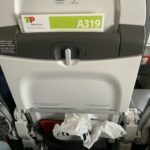 Overall a very satisfying experience with TAP Portugal. Good value for money! We had 2 transatlantic flights with 2 different planes. One was quite new with great entertainment system and on demand movies and so on the other one was old with old seats and bad inflight entertainment with no personal movie selection. The service was bad. Pressing the call button creates no reaction whatsoever I had 3 flight attendants walking by without even looking at me even the light was on. The other time no one came and I asked a flight attendant if I could get something to drink. The answer was something like you can go to the back and get your drink yourself we don't do any service anymore. 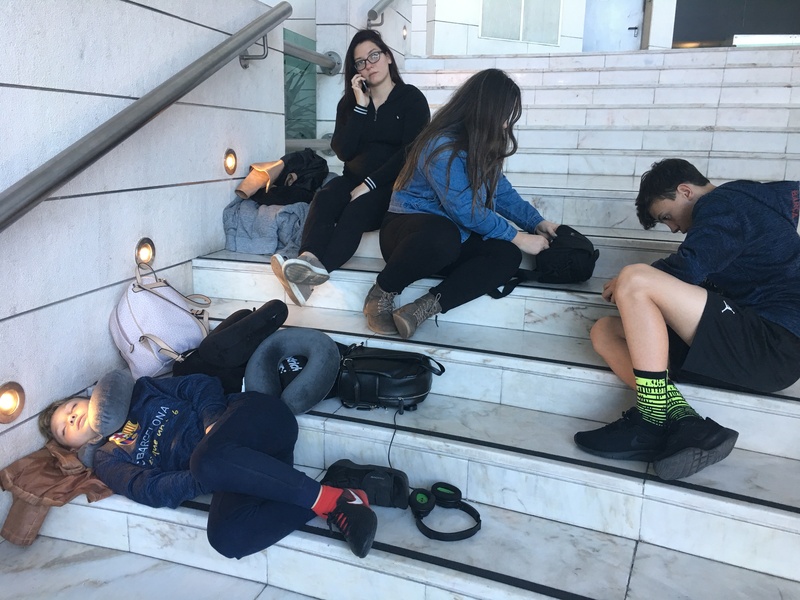 At Lisbon Airport we had less than 1 hour to make our connection. There was mayhem hundreds of people lining up for passport inspection. No one from TAP who made sure that the people with tight connections would be pulled through priority. Also at security no one from TAP to help. 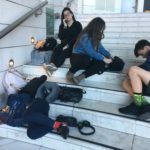 We barely made our connection without any help from the airline. Warsaw-Lisbon. Flight delayed 45 mins due to late arrival of inbound flight. Comfortable A320 good legroom clean. Cabin crew fine some nice and smiling some grumpy and not interested in anything. 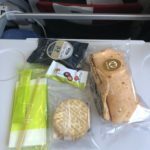 Unlike most of the airlines TAP still serves some food on its flight we got a tray with small salad hot raviolis chocolate cake condiments. Nice Portuguese wines. Good language skills both cabin and flight crews. Bags arrived 20 mins after arrival. Lisbon-Zurich on 21 October on A321. Online check-in worked smoothly as did the bag-drop where my case was sent through to Melbourne on two other airlines without any hassles. Hard to find the lounge which is in a remote corner of Terminal 1 with very limited signage. Comfortable seating and good food but was rather dark. After boarding the plane was held for 25 mins for ATC reasons - no drink offered to Business passengers. After take-off service was pleasant and a good meal was offered. The seat was comfortable. LIS-BRU-LIS. Great flights. Mobile check-in worked fine both ways. Fast lane for safety control in Lisbon so no queuing. Seating was good and plenty of leg room. An old style aircraft seats are a bless. A good breakfast in the morning and snack in the afternoon served. Flights on time. BRU-LIS-BRU. All too often they aren't able to offer the basic service which should go without saying. I wasn't able to book online and it wasn't possible to check in online either for some equally dubious reasons. Onboard everything was OK. 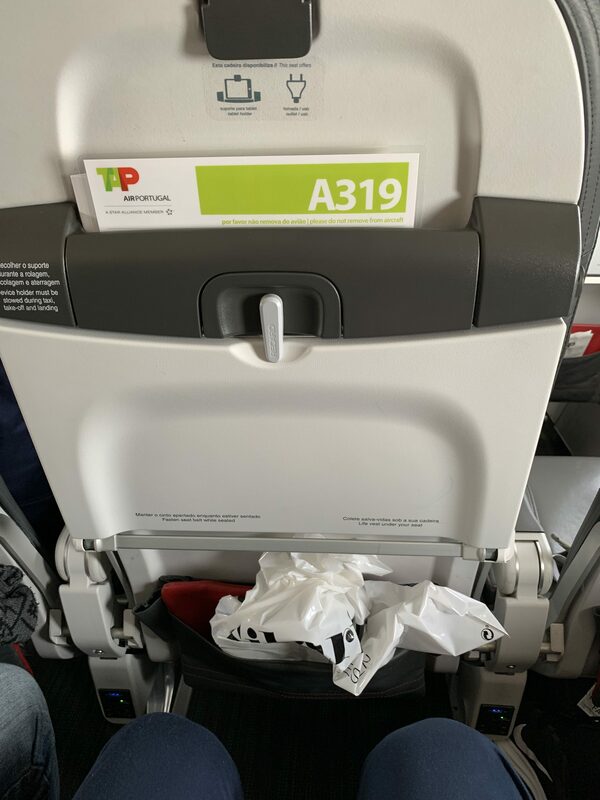 Both flights on time the A319s are quite comfortable and offer good legroom. 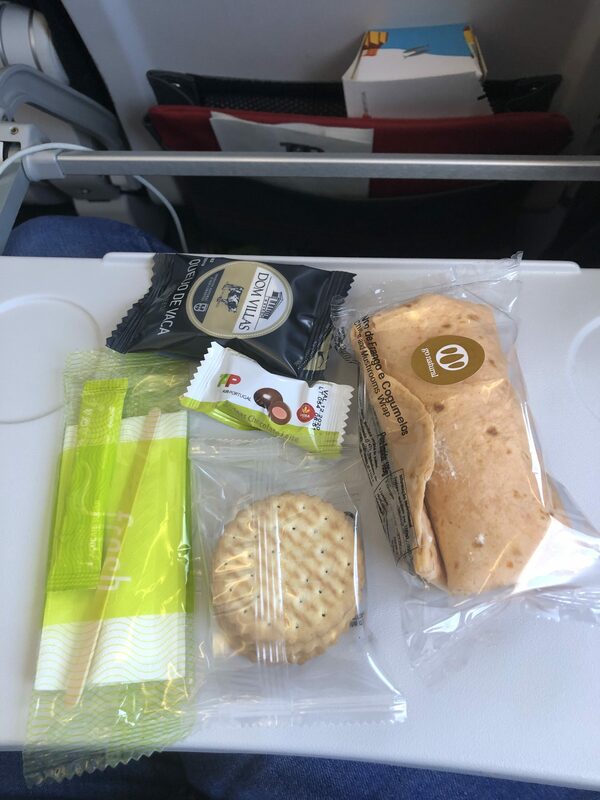 Food was rather poor compared to earlier flights.